Maximum comfort guaranteed: the magnetic crystal glasses and cups from silwy remain steadfast during the trip as well as on the campsite - and make a great figure when stowed away! Never again falling, slipping or rattling drinkware: Our young start-up from the Bavarian Forest is revolutionizing the worldwide drinkware market with THE magnetic invention. 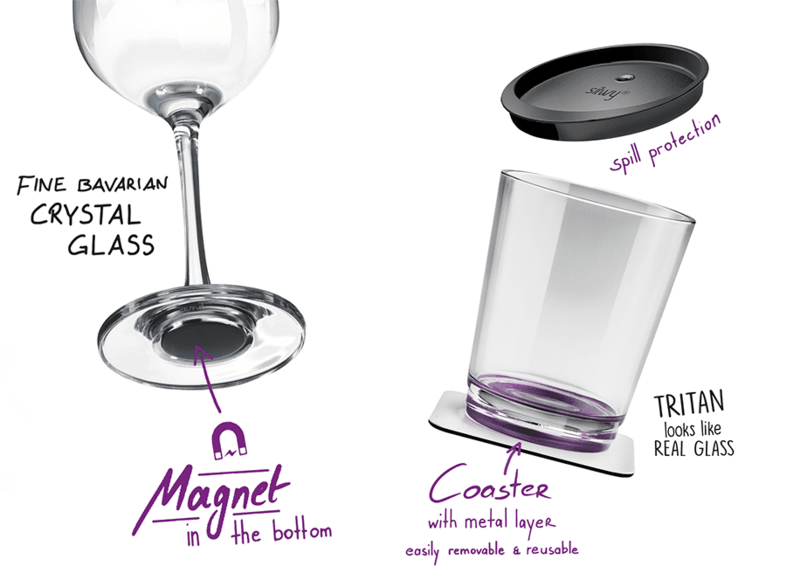 Whether in planes, trains, mobile homes, on the water, at home or in autonomous cars in the future - silwy magnetic drinkware find their perfectly matched counterpart in flexible, metallic NANO-PADS or metallic accessories that have already been specially developed for silwy. The glasses and cups are magically fixed and the annoying problem of falling glasses is finally solved. Clever and smart, isn't it? silwy magnetic glasses are not only a simply attractive eye-catcher, they are also stable at high speeds, strong curves, waves or sloping positions.